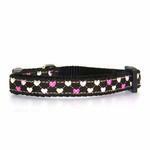 Cats will look Purrfect in the Argyle Hearts Cat Collar! Multiple colored hearts in an argyle pattern. 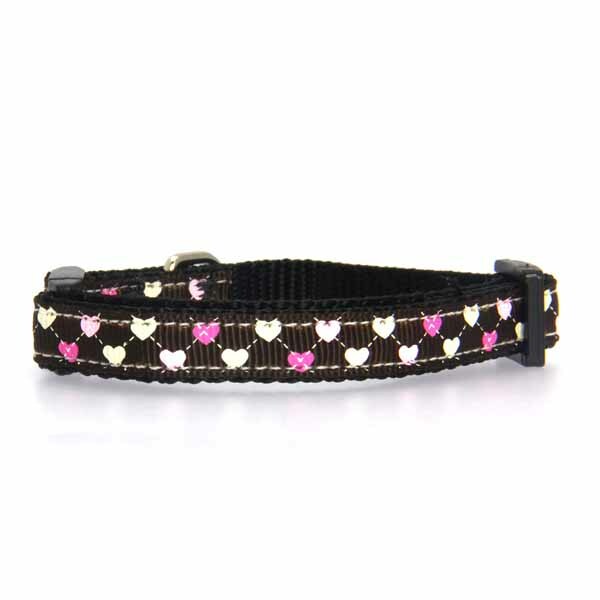 We love the hearts that carry an argyle pattern along the ribbon! 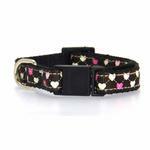 The Argyle Hearts Cat Collar is a nylon collar featuring a sewn-on ribbon. The quick snap collar is an added for safety. Posted On 10/08/14 by Tracy V from , WI Yes, Tracy V recommends this product! Nice collar, looks pretty on my girl!